Still think the flu shot can give you the flu? Learn how to separate fact from fiction. Last year’s flu season was one of the deadliest in the last 40 years, so it’s important to get a flu shot as soon as possible. You still might get the flu, but it’s likely to be less severe. When more people are vaccinated, it is more difficult for the virus to spread, yet only about 47 percent of Americans get a flu shot each year. Test your flu knowledge below. It is best to get your flu shot by the end of October. True. It takes two weeks for the flu shot to provide protection against the virus, and flu activity usually increases in November. If you received a flu shot last year, you don’t need to get another one. False. The flu evolves and so does the vaccine formula. The vaccine changes year to year to guard against predicted strains. Everyone should get a flu shot. Mostly true. With a few exceptions, everyone age 6 months and older should be vaccinated, according to the Centers for Disease Control and Prevention. Certain people are more at risk for the flu than others. People with chronic illnesses, children aged 6 months through 4 years, and those 50 and older should prioritize getting a flu shot. The flu shot can give you the flu. False. You may experience mild symptoms as your body responds to the vaccine, but these are typically short-term side effects. The flu shot will not make you sick. I don’t need a flu shot because I never get sick. False. 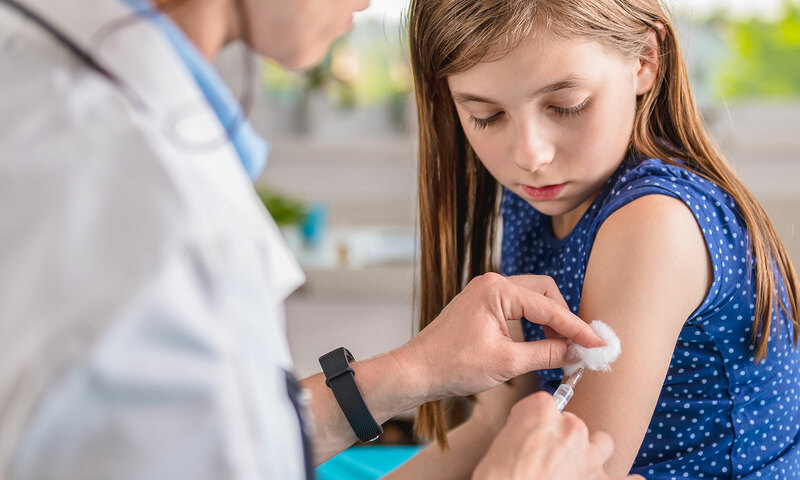 Vaccinations provide herd immunity for others, especially infants and older people, who account for most of the hospitalizations and deaths from the flu. A flu shot is the only way to protect yourself against the flu. Eat zinc-rich foods, such as black-eyed peas. Zinc is a trace mineral that keeps the immune system functioning and may help defend against flu. Consume probiotics. Some yogurts can help you build good gut bacteria, which play a role in warding off viral infections. Drink green, black and oolong teas. These teas contain flu-risk lowering compounds, such as the amino acid L-theanine and the flavanol antioxidant quercetin. Eat salmon, which is high in vitamin D, and can also boost the immune system to fight bacteria and viruses. When you’re well, regular exercise has a positive long-term affect on the immune system, which lowers your chance of catching viral infections or other contagious illnesses. Get your flu shot to protect yourself and others from the flu. To learn about our primary care services, visit stvincent.org/Services/Primary-Care.